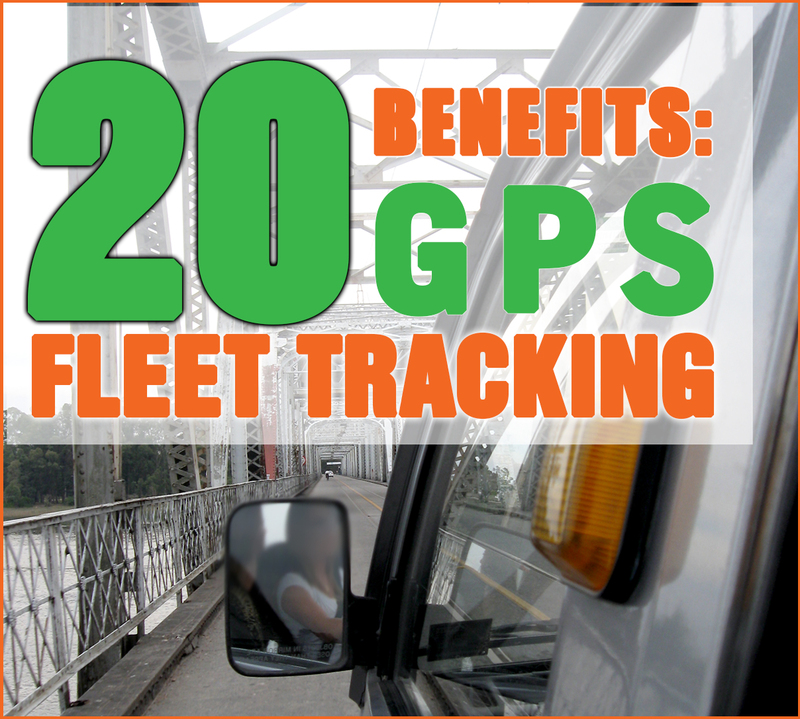 GPS Tracking has become a necessity for companies rely on fleets and drivers to do business. The installation of GPS units is an investment that will improve your company’s operations immediately and especially over the long-term. Most companies see a return on their investment within a year, and many see one much sooner than that. Let’s take a look at 20 of the most important ways that implementing a Geotab fleet tracking system will give you a the power to run your business more efficiently, reduce wasted costs in your fleet, and get the leg up on your competitors. Monitor unsafe driving behaviors and take corrective action. The safety of your drivers and equipment is a priority for all fleet managers, and Geotab gives you the ability to monitor and correct risky driving, either in real-time, or via easily accessed reports. Assign routes and send messages right to the device. The ability to give assign customer locations and routes to drivers from a central location means reduced distractions for your drivers, allowing them to keep their eyes on the road. Because of employee monitoring and feedback, potentially reduce accident rate in your fleet. Many companies are able to significantly reduce the rate of accidents in their fleets after installing GPS tracking units. As an example, this company saw an 80% reduction in accidents in a particular region year-after-year after installing Geotab devices. Reduce vehicle downtime & idling. Knowing that their vehicle use is being monitored, your drivers will immediately cut down or eliminate time spent idling and not heading directly to their next work site. Reduce or eliminate detours, unauthorized stops, or use of vehicles while not on company time. With optimized routes to the next location, you can be sure that drivers are not spending any more time than they need to getting from one site to the next. As a result of decreased aggressive driving, reduce vehicle maintenance costs. Risky or dangerous driving behaviors like speeding, aggressive acceleration, or harsh braking can add a lot of wear and tear on vehicles of any size. Potentially reduce insurance rates over time due to improved safety record. Some insurers may offer reduced insurance rates as your company’s safety record improves. More efficient routing means a potential reduction in overtime hours. More efficient workdays can mean less of a need for employees to continue working outside of their normal shifts. Save money on fuel costs because of reduced aggressive driving. Aggressive driving can add nearly 40% consumption in fuel costs to some fleets. Many businesses see an immediate reduction in fuel consumption after integrating GPS systems with their fleet. Locate vehicles that are missing or stolen. Whether you’re running a few vehicles on the road each day, or hundreds, lost vehicles can be devastating to the bottom line; having GPS units installed can provide the police with the vehicle’s exact whereabouts. Reach more customers through better routing. Better routing and less time wasted gives your business the ability to reach more customers in a day, week, month and year. Provide better customer service by offering faster response times. Geotab allows the dispatcher to easily determine the closest vehicle to a call location and instantly assign the closest vehicle, so your customers aren’t kept waiting. Keep customers updated with accurate estimates on time of arrival. Provide accurate estimates on when a vehicle will arrive at the site, keeping your customers in the loop at all times. Improve your company’s image on the roads. No need for the old “How’s My Driving” bumper stickers. Knowing that their driving is being monitored, your drivers are less likely to be noticed by the public for all the wrong reasons. Gather reports that let you know exactly what each driver is doing. Geotab comes with dozens of pre-loaded reports that fleet managers are commonly looking for. Each can be customized, and it’s simple for managers to build totally custom reports as well. Easily export reports for distribution to colleagues. Export reports into a nice visual format for easy distribution to other decision-makers around the office. Instantly generate HOS (Hours of Service) reports, seamlessly and automatically. Geotab will automatically log your drivers’ hours of service, eliminating the need for log books and increasing the accuracy of these reports. Stay on top of vehicle maintenance with automatic reminders and alerts. Instant alerts notify when one of your vehicles has a problem, and what the problem is. Also, easily configure Geotab to provide automatic reminders of when your vehicles will need servicing, so you can plan around vehicle downtime and know when it’s coming. Get the leg up on competitors in your field. Give your business a competitive advantage in your field by harnessing the benefits of a Geotab GPS system to improve productivity, efficiency, customer service and driver safety… all while reducing your operating costs in the long run. What are you waiting for? Get rolling with GPS to GO’s $50 Trial Offer and start seeing the benefits that Geotab can provide for your business today. We’ll send you some units to test, and when you’re ready to buy, we’ll credit the $50 to your account. If you’re not convinced, you can cancel anytime. There’s no catch and no obligation, so take advantage of this offer and get a leg up on the other guys with fleet management from your GPS tracker distributor, GPS to GO.